Yarn Store Owners, you’re my people! Hey, you! My name is Shannon Squire. I design knitting patterns and I love yarn. I used to own a yarn shop, so I have a handle on what your customers are looking for – simple patterns with a punch. An excuse to buy all of the yarn. A pattern that’s going to make them feel like a Knitter, with a capital K, no matter what their skill level may be. My patterns are all about the fun – texture, colorplay, wearable items. I love indie dyers, and I know the allure of that one (or three!) gorgeous skein(s), so my goal is to create a purpose for them. I like to wear knitwear, so my patterns are all about wearability. I like to watch Netflix, so my patterns are all about the ease of the knit. That’s not to say that they are dead-simple, but most of my patterns can be executed while binge-watching some sci-fi or listening to a book on tape (or whatever strikes your knitter’s particular fancy). I also realize that without you, the yarn shop, there is no me, the designer. 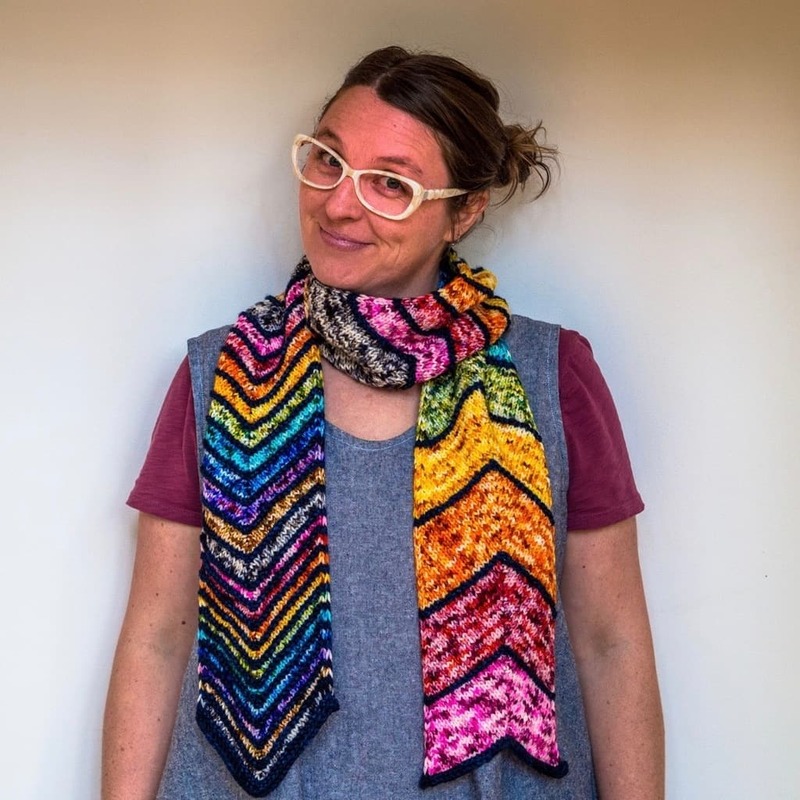 I believe that yarn shops and designers have a symbiotic relationship – I’m here to help you sell yarn, and I’ll support your promotion of my patterns in any way I can. Want to do a knit-a-long? Let me know – I’m glad to donate download codes for participant prizes. Need a display? I’ve got trunk shows! Want to make samples for your shop? I’m happy to gift any pattern in my library to any yarn shop owner or employee, because you are the style-makers for your community. I have a few different ways I like to work with yarn shops. You can download the lookbook (it’s updated monthly), and either display on a tablet, print at your shop, or order a printed version through Magcloud, and sell through Ravelry In-Store Pattern Sales. OR, if you’d like to host a trunk show or highlight a pattern (or more) of mine, we can work on a wholesale agreement that benefits the both of us. Get in touch, and we’ll figure out the best way for us to work together! And most of all, a big thanks for all of your support. Mwah! Sign up for my wholesale newsletter for updates, specials, and news just for LYSOs.